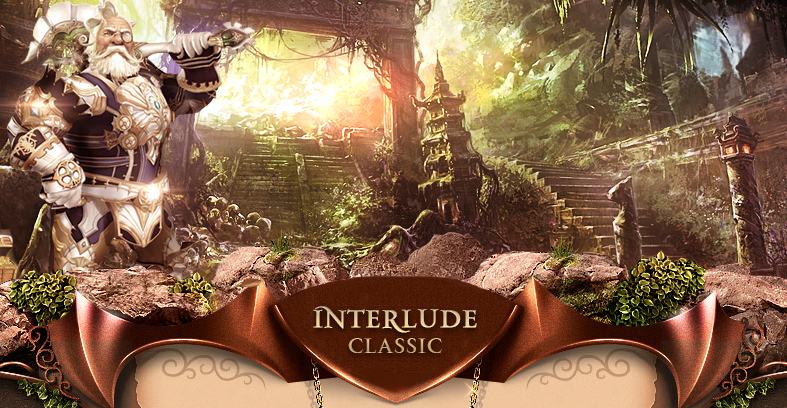 Interlude-Classic - x33 - JOIN! Discussion in 'L2 Server Advertisement' started by interlude-classic, Jul 11, 2018. All characters at startup are given a newcomer's chest (with NG, D and C weapons, armor and supplies. Reagents for Nubless are sold in the GM shop for adena. Start of the Olympiad 16.07.2018 The period of the Olympiad is 1 week. Duration of the Olympics: from 18:00 to 00:00 Moscow time. The period of the Olympiad is 7 days. The cycle starts on Monday. Check for HWID + IP when registering. No bays! To start the Olympics - need 5 players. Sieges of locks pass on a standard cycle. Drop Life Stone with tyrannosaurs on Primeval Isle. Chance to knock out LS 50%. Spawn time is 5 minutes. All Life Stone in inventory in one cell. Flame of Splendor Barakiel - 8 hours + - 1 hour. Alliance Raid Boss - 24 hours + - 1 hour. Sab RB 8 hours + - 1 hour. All other Raid Boss - 12 hours - / + 1 hour. Announcements about sab, nubless, alli RB 60 minutes before respawn. Ant Queen, Core, Orfen - Available the next day the server starts! The remaining epic bosses will be available next week on schedule. Frintezza 20:00 + 0-2 hours every Tuesday, Thursday, Saturday. Time for the passage of insta and farm - 2 hours.